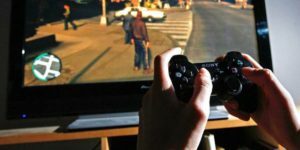 If you are seriously interested in getting into the world of gaming careers, it can be a good idea to read discussion boards on gaming. This can help you expand your knowledge about the industry and look for gaps in the market. The best thing about this discussion boards is that professional game developers also look at them. By posting some of your work to discussion boards (watermarked of course) you could attract the attention of developers. If it’s a job writing about games that you’re interested in, then starting a gaming blog is the right way forward. This will not only give you experience but will show potential employers that you’re already invested in the job before you have it. Make your blog your online portfolio and post any ideas that you have or designs that you’ve created. People often struggle to get into the gaming industry due to lack of experience. The best way to get experience without being in a job is to make games yourself. There are more free game development tools out there than ever before, utilise them and keep progressing. This method has been a success for many in the gaming industry due to professionals seeing the work that they have shared online. Starting from the bottom and working your way up can also be a good option when it comes to gaming careers. Starting as a game tester requires no experience and no degree. People who start in this position often move on to other gaming careers once they have a better experience and understanding of the industry. An internship may be a good way to get into the gaming industry. If you have transferable skills such as programming, art or sound production, then it’s possible to get into the industry as an intern without any previous experience. An internship will likely not pay very well but it’s a great way of getting your gaming career kicked off. Getting a college degree in something such as BA Game Art & Design can help your cause, this gives you knowledge and experience in game design and can boost your chances of getting a job straight out of education. Similarly, you could also opt for a non-video game related degree. A lot of jobs opportunities will say that a Batchelor’s Degree is required but don’t specify what kind. Obviously, the more relevant your degree is to gaming careers, the more chance you’ve got.